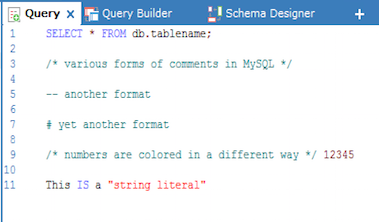 For ease of use, components of an SQL query are shown in different colors. There are certain SQLyog defaults, but you can setup your own highlight fonts and color scheme by using the Preferences dialog (Tools -> Preferences). 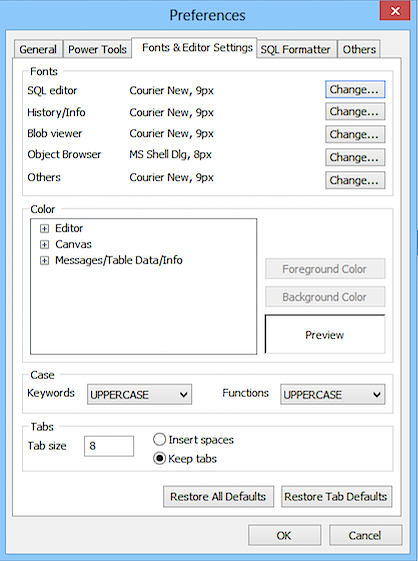 In the dialog, switch to the Fonts and Editor Settings tab and define coloring as it is suitable for you.